WhatsApp, the well-known popular mobile messaging service has crossed another major milestone recently. The company CEO announced on Twitter that WhatsApp is now service over 600 million monthly active users. The CEO was quick to point out that it's active users, that is, people actually using the service everyday, and not just registered users, which would be a bigger number but a lot of those people won't actually be using the service. This makes the milestone all the more impressive and shows once again just how popular WhatsApp is. The latest WhatsApp version 2.12.44 for Android packs Material Design UI and lots of cool animation to follow Google's Latest UI Guidelines. You can Download the New WhatsApp 2.12.44 Official APK below, if you don't want to wait until the update reaches your Android device via Google Play Store. The latest WhatsApp version 2.12.58 for Android packs even more Material Design UI and Animation to follow Google's Latest UI Guidelines. You can Download the New WhatsApp 2.12.58 Official APK below, if you don't want to wait until the update reaches your Android device via Google Play Store. 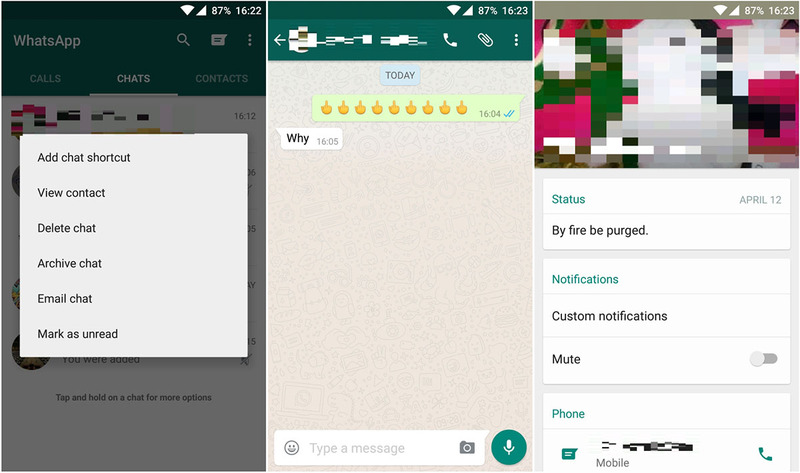 The latest WhatsApp version 2.12.71 for Android packs even more Material Design UI to follow Google's Latest UI Guidelines and various bug fixes too. You can Download the New WhatsApp 2.12.71 Official APK below, if you don't want to wait until the update reaches your Android device via Google Play Store. 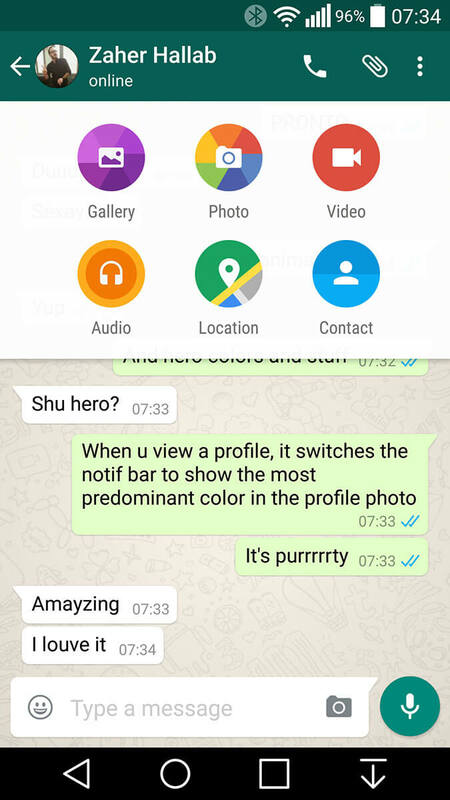 WhatsApp updated the design of the Android version of its app to Material Design but it was limited to the APK downloaded from their website, while the Play Store version was still rocking the old Holo UI from the yesteryears. After a month of releasing the Material Design update on the site, the Play Store version has finally caught up. If you choose to stick to the Play Store version then you should update immediately. The design only loosely adheres to the Material Design guidelines so MD purists will likely scoff at it but it still looks a hell of a lot better than the previous Holo design, and is just nicer overall. 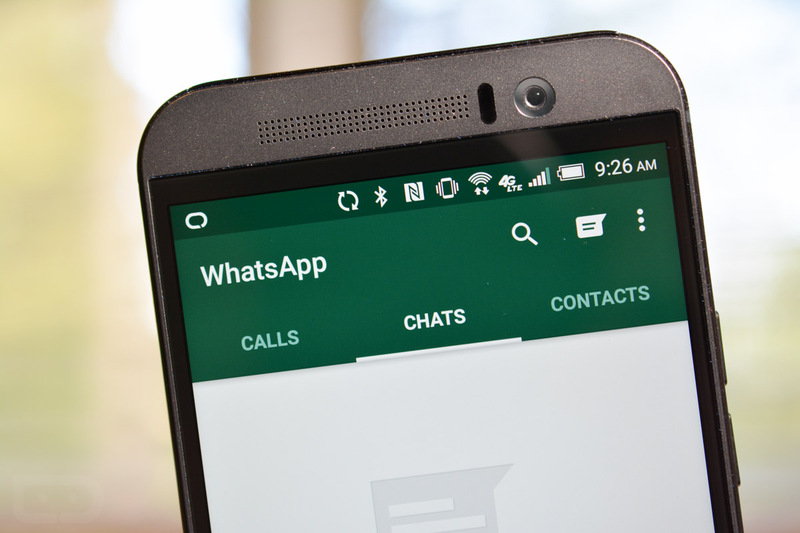 The latest WhatsApp version 2.12.183 for Android packs even more Material Design UI to follow Google's Latest UI Guidelines and various bug fixes too. 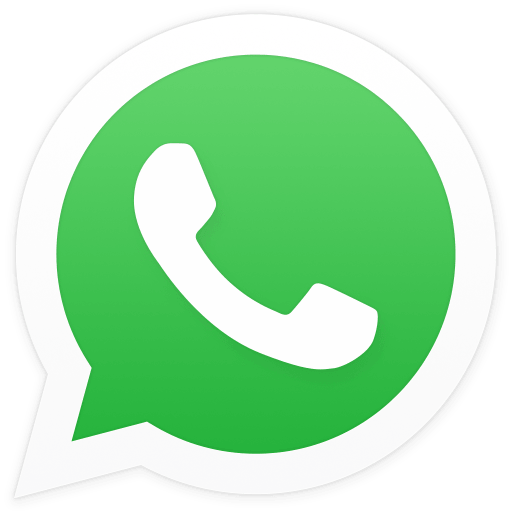 You can Download the New WhatsApp 2.12.183 Official APK below, if you don't want to wait until the update reaches your Android device via Google Play Store. 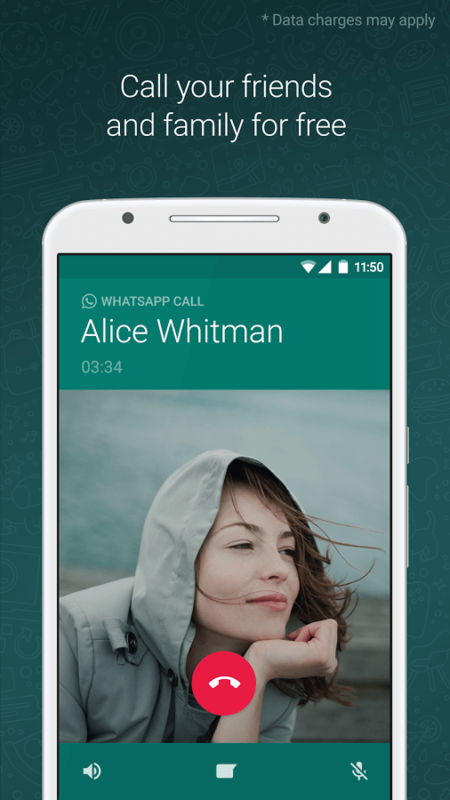 The latest WhatsApp version 2.12.200 for Android packs Custom Notifications, Bug fixes and a new lo-data mode for voice calls. To customize the notification sounds for a certain contact, open its detail page and to find the new Notification box. Here you'll be able to customize the notification style, mute notifications for a time, or turn off notifications altogether. Digging a little deeper, you'll be able to set specific notification tones, or even tune the vibration length and the notification light. The new updates also bring the ability to mark conversations as unread, although this will only take effect in your app, and the message will still show up as read to the other participants in a conversation. The new features also include a few new setting options. One particularly interesting addition is a new low data mode for voice calls, one that, as the name suggests, will put voice calls on a data diet, a feature that will be surely welcomed in emerging markets where mobile data is still expensive. You can Download the New WhatsApp 2.12.200 Official APK below, if you don't want to wait until the update reaches your Android device via Google Play Store. 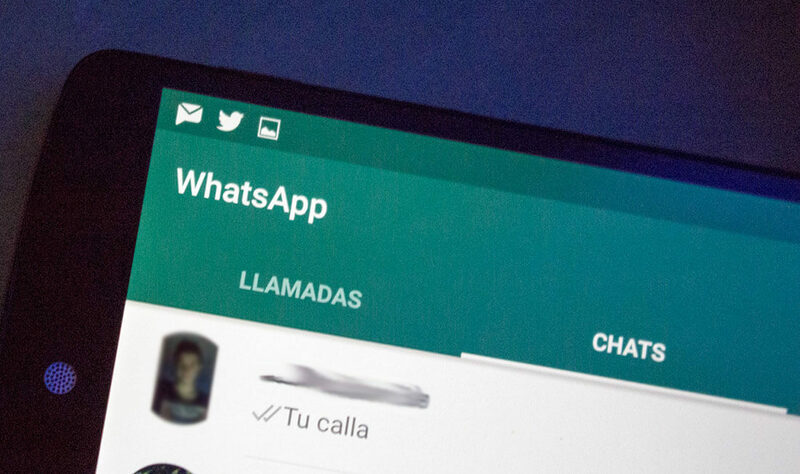 The latest WhatsApp version 2.12.214 for Android packs Custom Notifications, Bug fixes and a new lo-data mode for voice calls. You can Download the New WhatsApp 2.12.214 Official APK below, if you don't want to wait until the update reaches your Android device via Google Play Store. 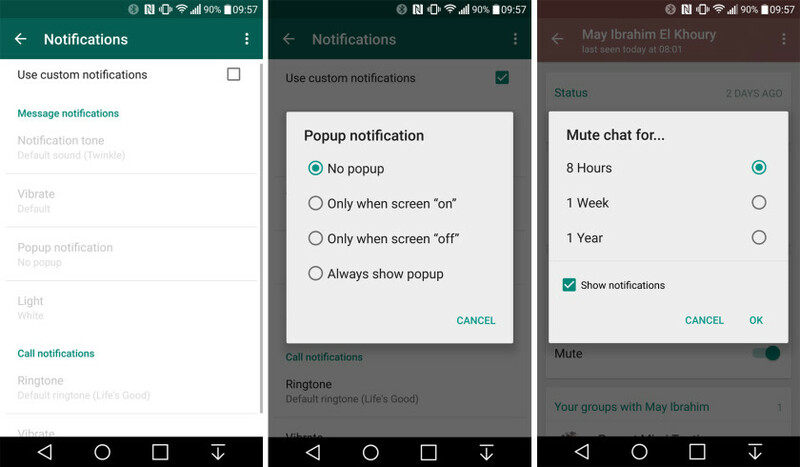 The latest WhatsApp version 2.12.233 for Android packs Custom Notifications, Bug fixes and a new lo-data mode for voice calls. 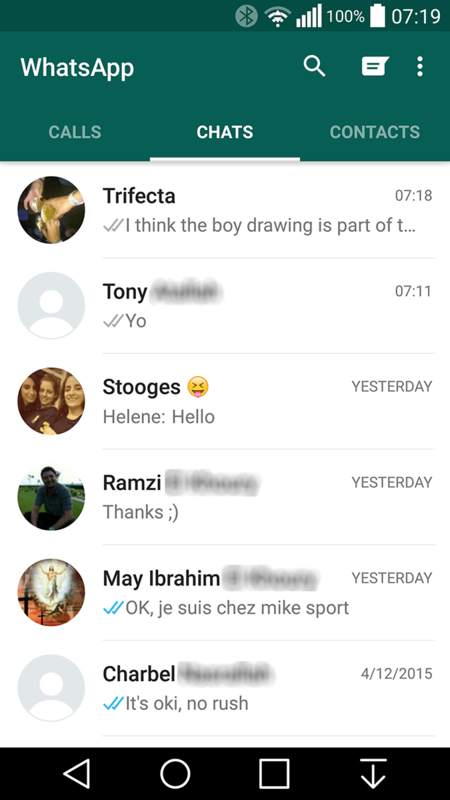 • Updated the design of WhatsApp. • WhatsApp Calling: Call your friends and family using WhatsApp for free, even if they're in another country. WhatsApp calls use your phone's Internet connection rather than your cellular plan's voice minutes, Data charges may apply. You can Download the New WhatsApp 2.12.233 Official APK below, if you don't want to wait until the update reaches your Android device via Google Play Store. 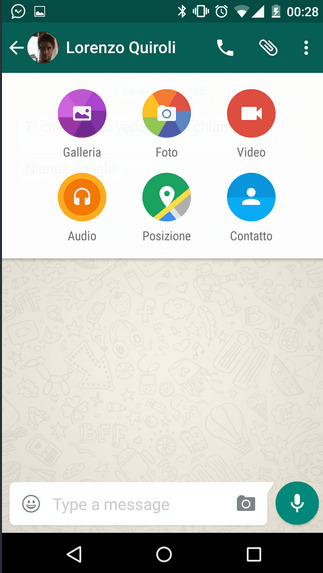 The latest WhatsApp version 2.12.258 for Android packs New emoji and some New features along with the usual Bug fixes. One of the new features is the ability to mute contacts individually, whereas previously you could only mute groups. You can now also mark chats as rear or unread. 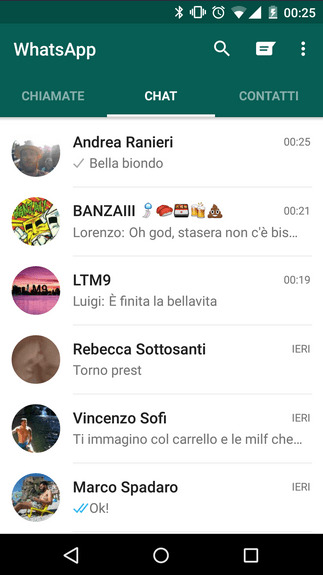 WhatsApp also added some new emoji, like the middle finger and spock emoji, and now you can choose different skin colors for some of the emoji. There is now also an option to reduce call quality and use less data. Lastly, there is now support for Urdu and Bengali languages. • Added new emoji. You can also tap and hold on some emoji to choose a different color. You can Download the New WhatsApp 2.12.258 Official APK below, if you don't want to wait until the update reaches your Android device via Google Play Store. The latest WhatsApp version 2.12.284 for Android packs various bug fixes and some New features along with the usual Bug fixes. You can Download the New WhatsApp 2.12.284 Official APK below, if you don't want to wait until the update reaches your Android device via Google Play Store. The latest WhatsApp version 2.12.330 for Android packs various bug fixes and some New features along with the usual Bug fixes. One of the new features is the ability to mute contacts individually, whereas previously you could only mute groups. You can now take control of the mobile data used during whatsapp calls and chat sessions in the new version's settings. You can Download the New WhatsApp 2.12.330 Official APK below, if you don't want to wait until the update reaches your Android device via Google Play Store. Back in February, Facebook publicly announced its plans to acquire the popular messaging company WhatsApp for around $19 billion. However, the deal still has to be approved by regulatory agencies across the world, including the EU's competition authority. That apparently shouldn't concern Facebook, as the EU is rumored to give it the go-ahead unconditionally. "Unconditionally" means the company won't have to make any concessions and the deal will simply be approved as is, since Facebook reportedly managed to convince the European Commission that it would have no anticompetitive effect. The information allegedly comes from two people familiar with the matter. The EU approval deadline will on October,3rd. The US already approved the purchase. 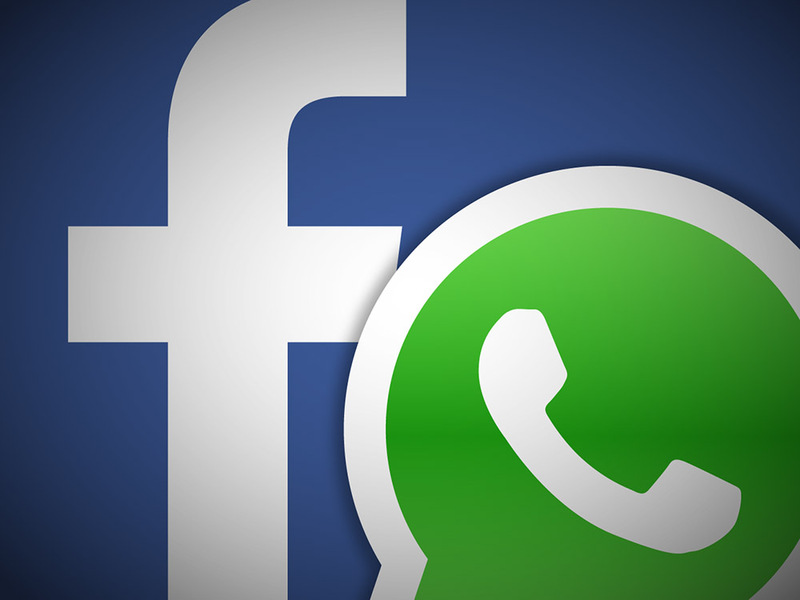 Facebook is Now Officially owns WhatsApp Inc. This sure took a while, but Facebook is now officially the owner of WhatsApp Inc. The social network agreed to buy the mobile messaging service on February 20, shocking the tech world by offering $19 billion for that privilege. All the regulatory hurdles have now been cleared, so WhatsApp is finally part of Facebook. US regulators moved pretty fast, approving the deal back in April. However, the European Commission only announced its positive vote on the matter last Friday. That was apparently the last approval Facebook needed, as the deal has now closed. 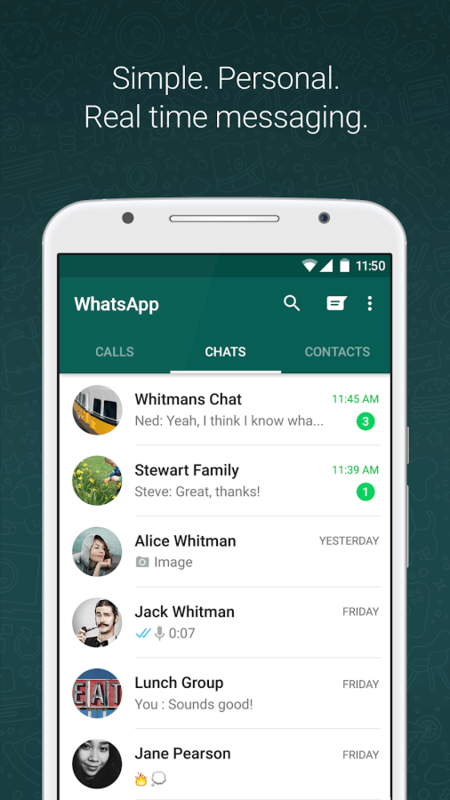 Tags: whatsapp has more than 600 million monthly active users new milestone official free apk download whatsapp android updated with material design [apk download] whatsapp android 2.12 released with more material design animations official apk download whatsapp android 2.12.71 released with more material design bug fixes apk download whatsapp stable version updated with full material design apk download whatsapp android 2.12.138 released with more material design bug fixes apk download whatsapp android 2.12.183 released with more material design bug fixes official apk download whatsapp android 2.12.200 released with custom notifications low-data apk download whatsapp android 2.12.214 released with custom notifications low-data official apk download whatsapp android 2.12.233 released with bug fixes new features official apk download whatsapp android update v2.12.258 with new emoji features [apk download] whatsapp android updated v2.12.284 with custom notification bug fixes official apk download whatsapp android updated version 2.12.330 with custom notification data usage control sources facebook get approval whatsapp purchase deal facebook now officially owns whatsapp inc.